The last 12 months have been something of a whirlwind for Girona. A first ever promotion to the Spanish top flight, holding Atletico Madrid at their tiny Estadio Montilivi, then beating European Champions, Real Madrid, there. Until relatively late on in the season, the Catalan side, expertly drilled by Pablo Machin, looked on course for a European placing, but, perhaps to be expected, they fell away during the run in. Machin then decided his work was done and promptly took over at Sevilla, leaving former Barcelona ‘Dream Team’ member, Eusebio Sacristan, to fill his place. Not long after this season had started, there were murmurings that La Liga as an organisation wanted to expand their brand and therefore would seek to play a regular season match abroad, in this instance the United States. It wasn’t a decision that curried favour with any of its member clubs initially, and all of the captains met together in Madrid to talk over the proposals and whether strike action might be appropriate. That appears to have been averted as both Girona and Barcelona have agreed to be the guinea pigs for the first match, which will take place in January in Miami. It’s the reverse fixture of the forthcoming weekend game and is arguably the most well attended game at Montilivi given that it’s against their closest rivals. If nothing else, Girona will be heavily recompensed, though it’s doubtful they’re truly happy with the arrangement. What they will be happy about, however, is gaining their first home win of the season, against high-flying Celta Vigo on Monday evening, coming hot on the heels of a superb away victory at Villarreal. Now, they’ll try to do what they were unable to last season, and that’s put a dent in Barcelona’s unbeaten run. In this fixture last season, Girona had the temerity to open the scoring through Portu after just three minutes. As with Barca’s recent game against Huesca, when they too took the lead against a sleepy Blaugrana back line, that was the queue for the lion to roar, and in both games, Barcelona came back in some style. Huesca had eight goals put past them this season, and Girona were only slightly better off having conceded six in the previous campaign at the Camp Nou. The game was over by half-time as a Luis Suarez and Lionel Messi double meant the hosts were more than comfortable in the second half, when the Uruguayan went on to complete his hat-trick and Philippe Coutinho added another for good measure. All three will be playing again this weekend and will be joined by the in-form Ousmane Dembele. Virtually unstoppable at home under Ernesto Valverde, Barca will want to ensure the status quo at the top of the table remains the same, and that means a win - because there’s no doubt Real Madrid will bag three points at home to Espanyol. Sacristan has used three different formations in his four games so far, and that doesn’t help an XI that will need to work extra-hard to keep the hosts at bay. Fortress Camp Nou will ensure that this is an easy home victory and a 5-0 Barcelona win is at a healthy 9/1 with Bet365. Valverde will have worked hard in training to ensure that his team don’t suffer from another surprising early sucker punch. With players such as Clement Lenglet, Arthur and Arturo Vidal yet to see any meaningful La Liga action, starting on the front foot is imperative from the hosts, allowing Valverde the opportunity to rotate in the second half. Therefore, expect to see the likes of Messi, Dembele, Alba and Sergi Roberto raiding down the flanks and providing ammunition for Suarez and Coutinho et al. Girona will put up a fight, it’s a local derby after all, but they just don’t have the quality of personnel to be able to deal with the bombardment that’s going to come their way. Bernardo Espinosa remains their weakest link defensively, and it would be no surprise to see Suarez targeting the centre-back from the first whistle. A vintage first half will see Barca score more than 2.5 goals, for which you can get a reasonable price of 13/5 with Ladbrokes. It’s been a long time since Philippe Coutinho was being labelled as a waste of money. The Brazilian was never a replacement for Andres Iniesta, even if many saw it that way, and since his arrival in January, he’s already repaid a decent slice of his record transfer fee. 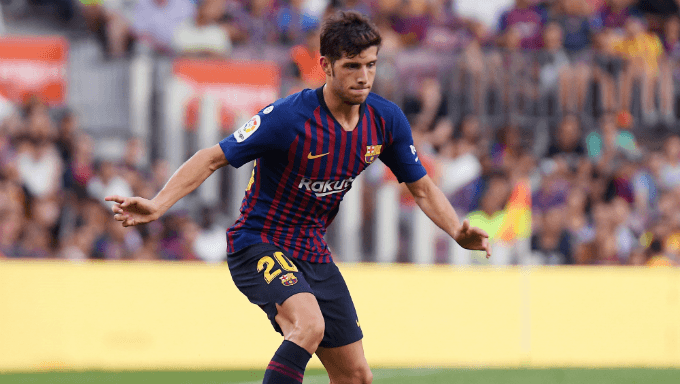 His ability to find space in between the opposition right-back and right-sided centre-back has become his stock-in-trade, and the curling shot into the top corner is a regular sight for Barcelona supporters. As defenders look to swarm around his colleagues to dilute their influence, Coutinho can drop into the holes that are created. He only needs half a yard to be decisive, and he should find that with ease. Odds of 6/1 for Coutinho to score first with 888sport are too good to turn down.